Pumping waves again Saturday with Friday's large W/SW groundswell easing under morning offshores, clean and 2-3ft in Mandurah and 2ft in Perth. Winds shifted onshore through the day and then Sunday was small and poor. 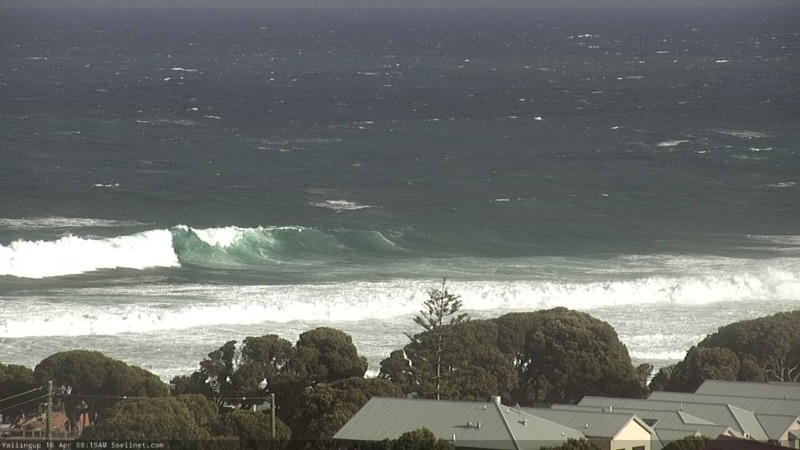 Today the beginnings of our XXL swell is building but with poor onshore winds. Mid-period energy is building ahead of the groundswell which will fill in more so later this afternoon and tomorrow. Our currently oversized increase in W/SW swell will continue building in size and increasing in power ahead of a peak tomorrow in the XXL range through the morning. The swell looks to peak around 15-18ft in the South West, 4-5ft in Mandurah and 3-4ft in Perth while a secondary vigorous front that's currently projecting towards us will keep the surf up in the XXL range into the afternoon. 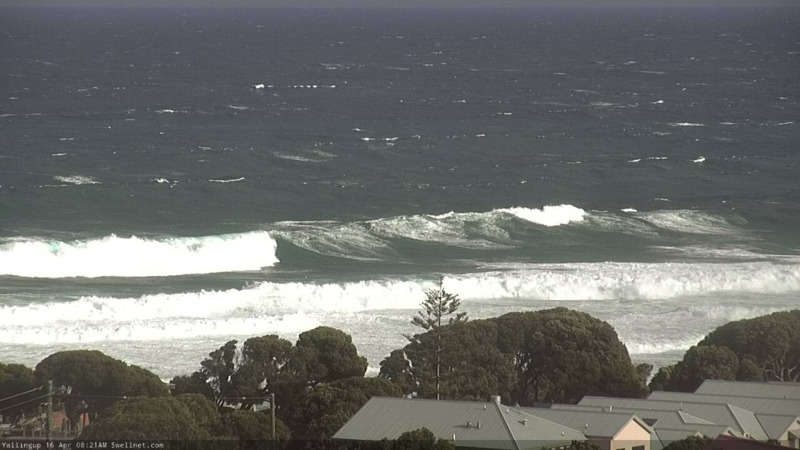 Winds will however be poor and onshore with strength out of the W, tending W/SW through the afternoon and SW later. This will open up protected spots later in the day, but come Wednesday, we'll see conditions improve as a hight moves in. Variable tending E'ly winds will create lumpy though improving waves across the South West, easing back from 12-15ft across exposed breaks. Perth and Mandurah will be nice and clean with an E/SE offshore and easing 3ft waves around the former, 3-4ft on the later. There should bea period of light morning offshore winds on Thursday morning as the swell continues to ease from 8ft in the South West, smaller further north. Winds will swing back onshore out of the W/NW through the day though as a very intense low approaches us. This low will form around Heard Island tomorrow morning and project a fetch of severe-gale to storm-force W/SW winds towards us, broadening and ripping apart south-west of us Thursday morning. As it rips apart a polar fetch of S/SW gales will develop, weakening while pushing up towards and then across us on Friday. So what we'll see is a large long-period SW groundswell building Friday, mixed in with mid-period S/SW energy and strong S/SW winds, peaking Saturday as S/SW winds persist. 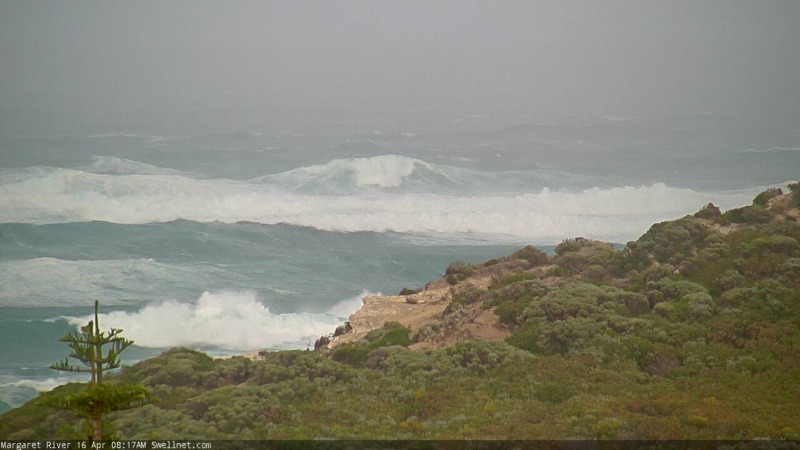 The South West should see 12ft surf later Friday and early Saturday with 3-4ft waves in Mandurah and 3ft surf in Perth. Easing surf should be seen Sunday but with lingering onshore winds in the South West, offshore to the north. 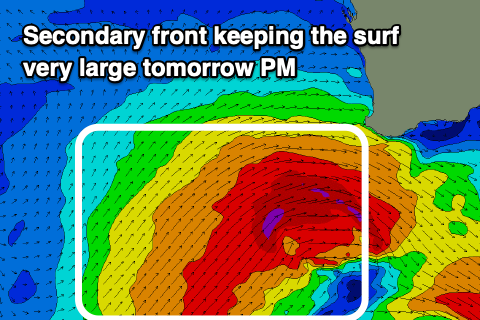 Longer term there's plenty more large surf on the cards into next week, but more on this Wednesday. Easter Weekend in Margs looking more like a mountain bike party with the winds unfortunately. 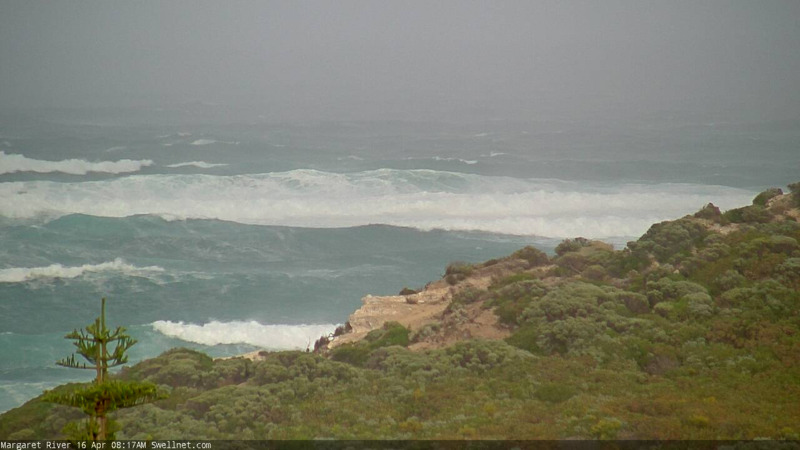 Good to see impoverished Perth get some surf. I just realised I've probably put one to many X's in the title and notes. Tomorrow more XL than XXL. Perspective is difficult.. but it's massive. Seen a few good tube rides on the scabs cam.